Wrote entire surviving original manuscript. 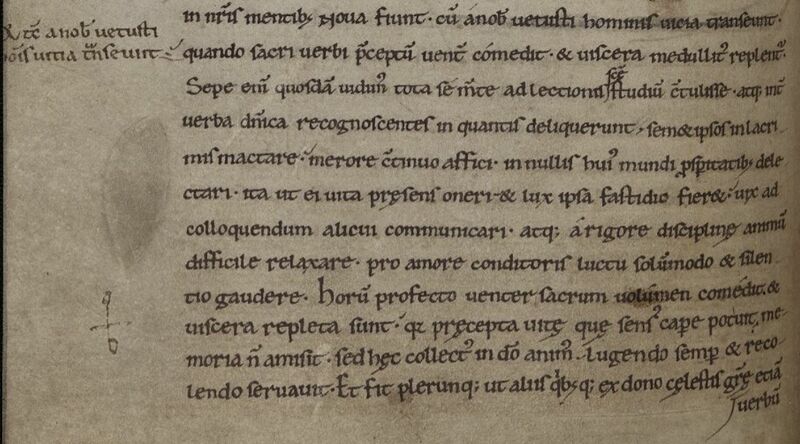 Usuard's Martyrology in the hand of Symeon of Durham (f.34r detail). His name has been added in the margin here to add him to those commemorated. 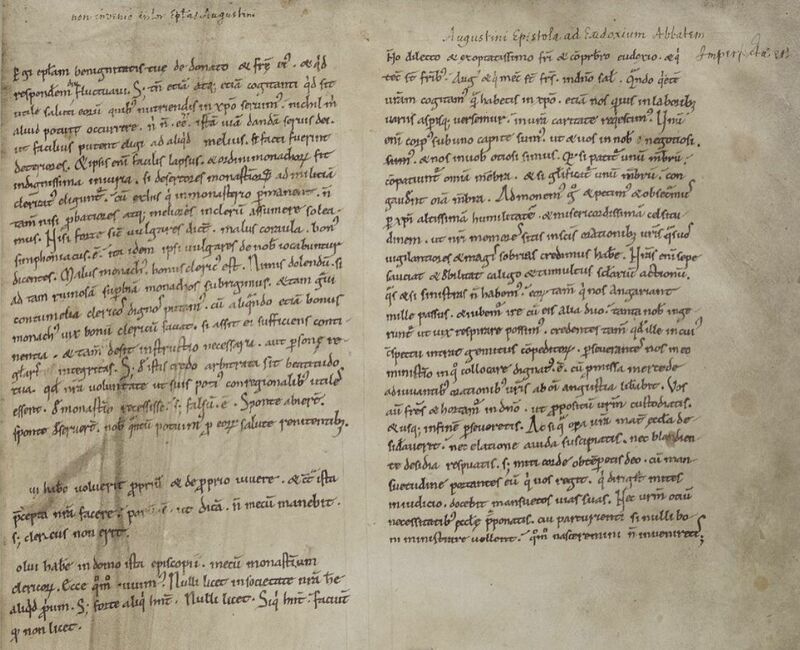 He wrote f.12v-45v of this manuscript. 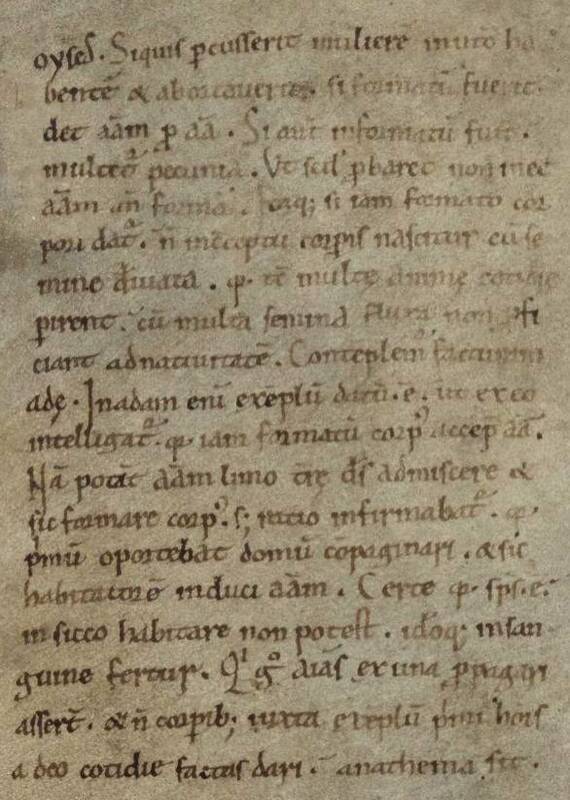 Wrote a replacement leaf f.64 and was one of the correctors of the manuscript. 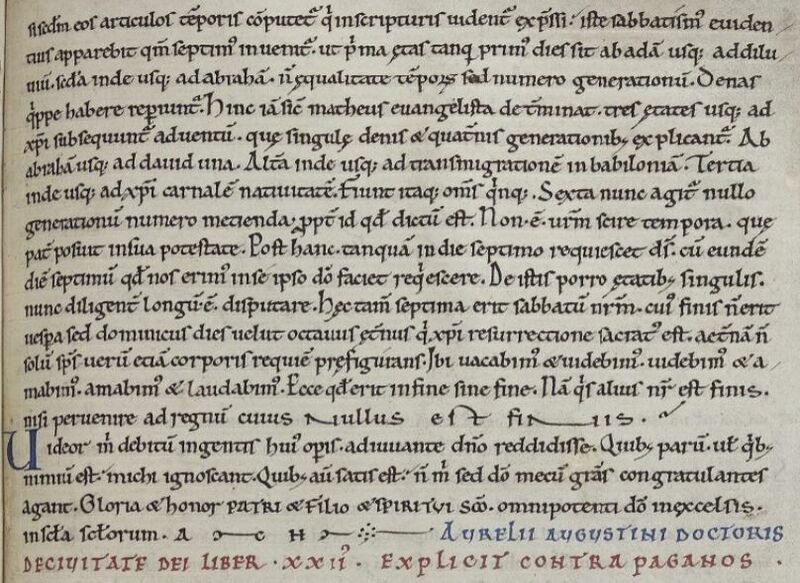 Detail from DCL MS B.II.21 f.9r, additions by Symeon. Written at the front of the second volume of William of St Calais' Bible, which was written by another scribe. Symeon also added part of Haymo of Auxerre's Super Apocalipsim, at the nd f.170-173. The Durham Liber vitae. 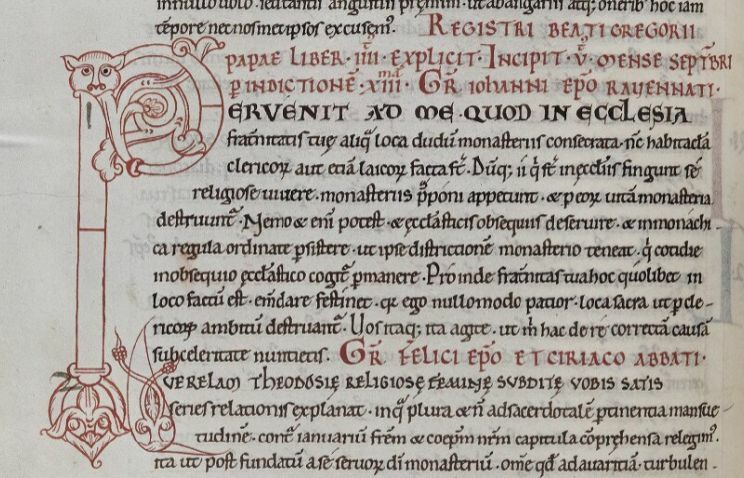 Symeon wrote much of the text added during his time as a monk at Durham, end 11th to early 12th century. Symeon made many additions to the manuscript. Added later notes to the Martyrology he had written early in his career. 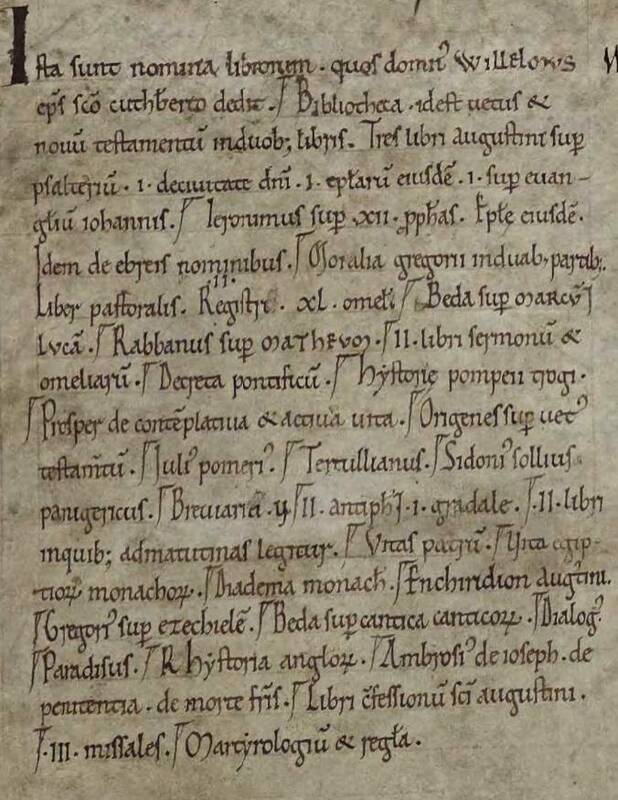 The identification of manuscripts written by Symeon of Durham is from the article by Michael Gullick, “The hand of Symeon of Durham: further observations on the Durham Martyrology scribe”, in Rollason, David, ed., Symeon of Durham: historian of Durham and the North (Stamford: Shaun Tyas, 1998), 14-31.